It’s that time of year! Dreamforce 2015 is a month away and we are busy preparing our expo booth (Moscone North, #1805), catered breakfast and lunch demos, a live session with Yesware CEO Matthew Bellows, the #IFoundYesware social contest, and – of course – our Yeti pARTy. Will we see you there? Here’s our plan to make this year’s Dreamforce the best one yet! What: Win 1 of our 5 Apple iWatches! Tweet a picture of you and Yeti with #IFoundYesware and #DF15 to be entered to be one of our five lucky winners of Apple watches! Find Yeti at Booth #1805 in Moscone North or at the party in his honor: Yeti pARTy. The winners will be announced on Friday, September 18th via @yesware. 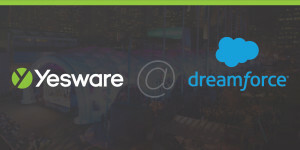 Want to have a personalized one-on-one meeting with Yesware during Dreamforce? Click here to let us know your preferred time and date! Learn about Yesware’s new features over a catered meal in our SF office – minutes away from Moscone! Seating is limited! Click here to let us know your preferred time and date! Sales is changing at warp speed–which means the salesperson’s job is, too. We’re dealing with a new kind of customer, sales cycle, in addition to other digital-age challenges. 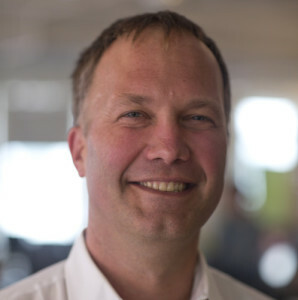 Find out what it takes to be the most effective “modern salesperson” with Matthew Bellows, CEO of prescriptive sales platform company, Yesware. A chance to take a picture with our Yeti and win an Apple iWatch! Be there or be green with envy! Yeti or not, here we come! (Just kidding, he’ll be there). Be sure to follow Yesware on Twitter (@yesware) for updates throughout Dreamforce.